Roster last updated on April 7, 2019. 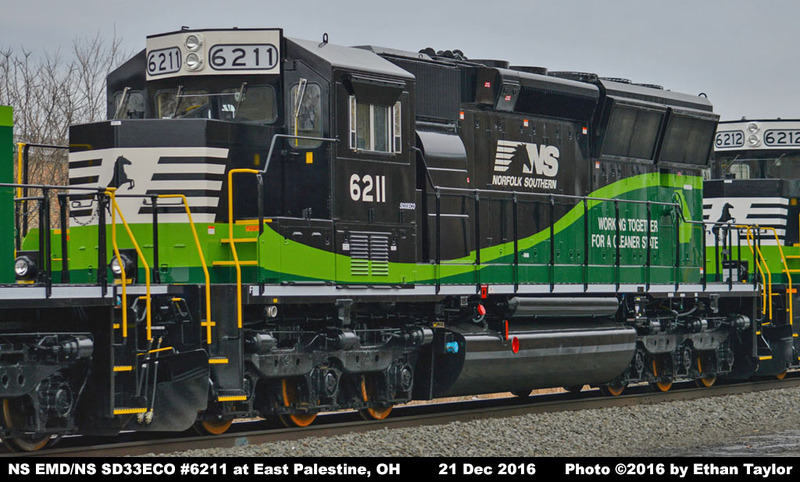 6223 NS SD40-2 3442/CR 6988/CR SD40 6351/PC 6098/PRR 6098 12-2018 NS 03-1966 7862 31343 Unit currently stored, but still on the active roster. Unit powered by an EMD 12-cylinder 12N-710G3B-T3 ECO engine. 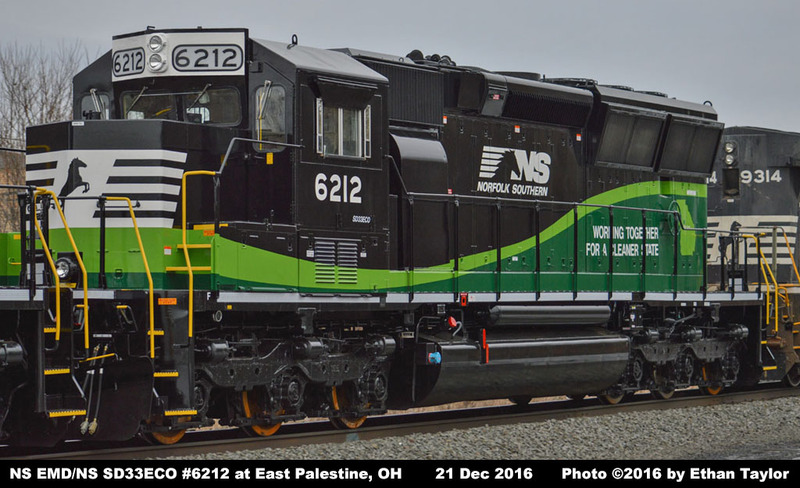 Equipped with EMD EM2000 microprocessor control system. Equipped with EMD EMDEC Electronic Unit Injection (EUI) system. Units meet EPA Tier 3 emissions standards. Equipped with CCB 26 electronic air braking system. Equipped with SmartStart auto start/stop system. Equipped with an electric parking brake. Equipped with EMD Flexicoil-C trucks with clasp-type braking. 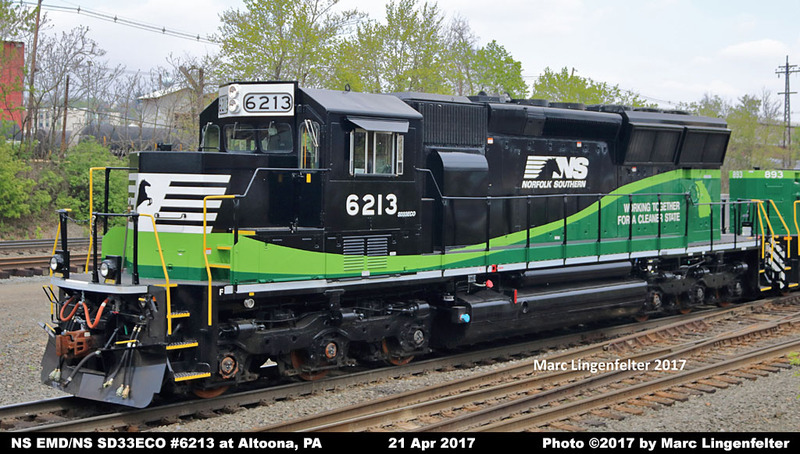 Equipped with new NS-designed "Admiral" cab and low short hood. Original carbody rebuilt with flared long hood to accommodate larger radiators. Equipped with HOTSTART plug-in engine heating system. 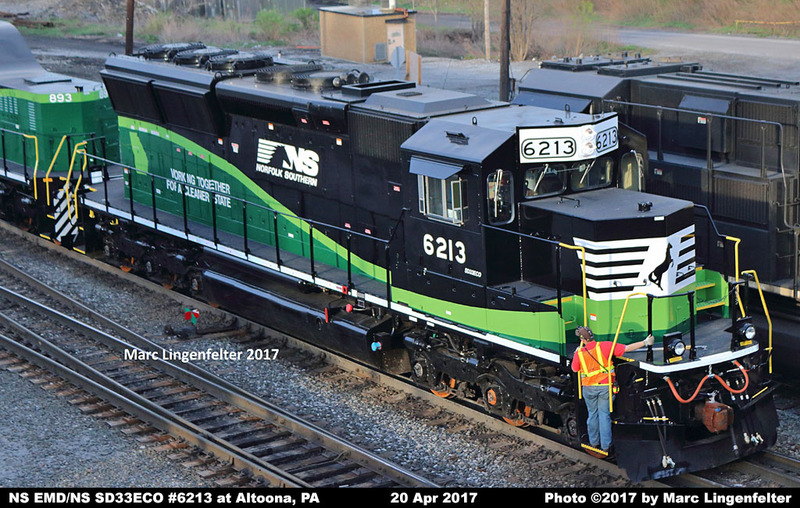 All units are painted in special two-tone green, white and black scheme with state map for assigned area. Units 6210-6214, 6218 partially funded with federal/state grants and are assigned to use in the Macon, GA area. Units 6215-6217, 6219-6221 partially funded with federal/state grants and are assigned to use in the Atlanta, GA area.